I am sure there are numbers of reasons why it is good to have plenty of people like your facebook page, but for me, having a new follower on my page doesn’t just give me joy, but a great excuse to get down and dirty. That is, with my tools and clay, of course! 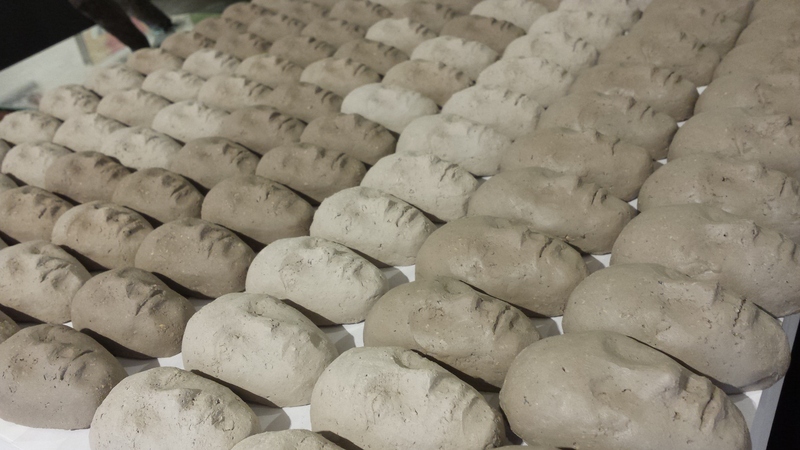 For those who don’t know what I am going on about, I have been working on this collection of small clay faces. Each face represents a fan, hence each has a name. Overall, they make up a big and ongoing project I have called, you guessed it: facebook. I see my facebook collection grow bigger and bigger with time. Materializing a number on my facebook/computer screen really gives me an idea of the support and appreciation my fans have for the work I do. To me, each face represents a person who believes in me. Words cannot describe how proud (and responsible) that makes me feel! Yet to cut it short, I can tell you that a new like gives meaning to my long working hours. A new like encourages me to keep on going! 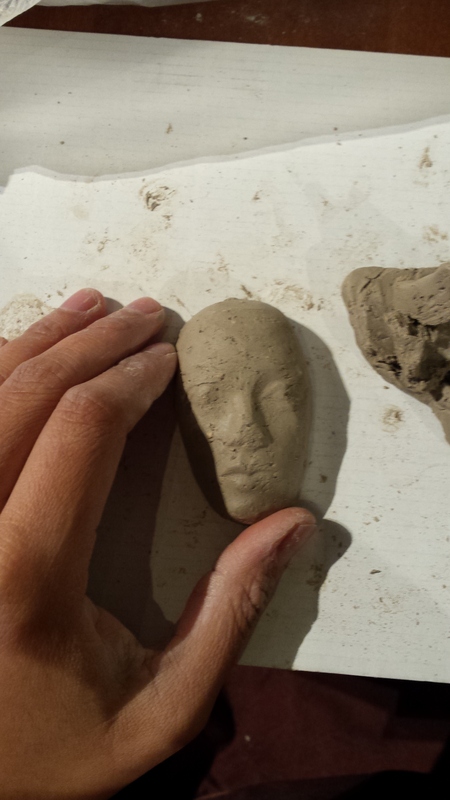 Below are some of the few pictures I’ve taken during the making of the collection, Facebook – to get back into the main topic, which is the clay faces! I typically use clay with rough crashed stones, but because these sculptures are so small, I have chosen to use a softer kind of clay. 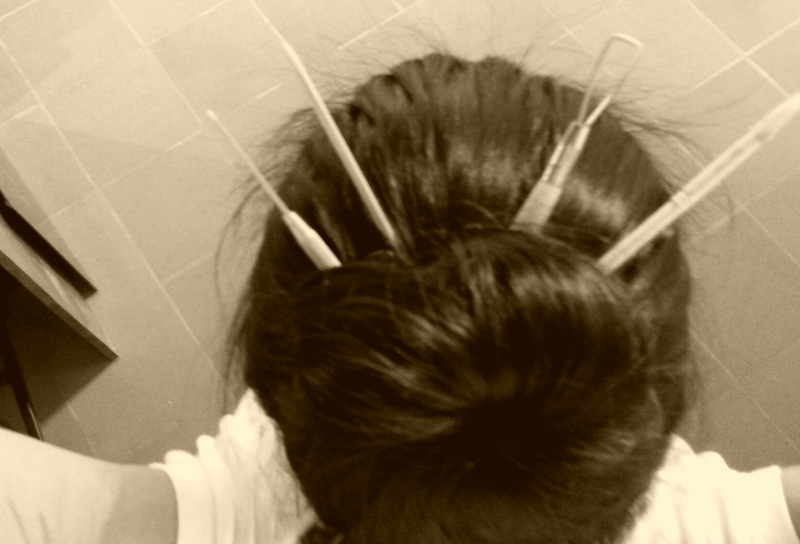 Though, I must say that no work is ever done in my studio unless I have my tools at hand…or in my hair! AND sculptures are never considered finished unless you cook them in the oven. For now I have my faces drying out in my studio. 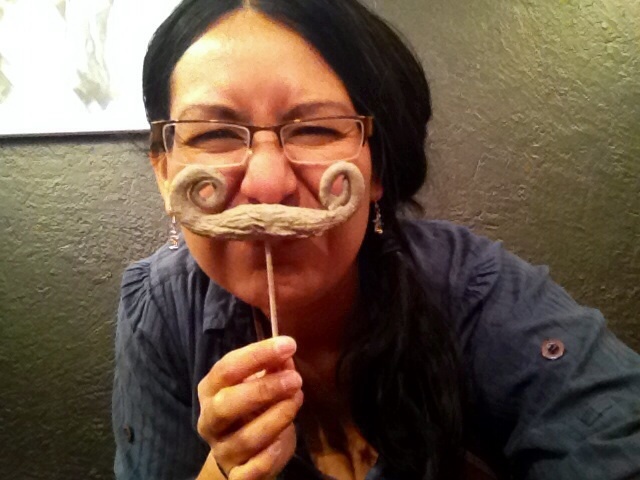 The toymaker: a painting about God, gender, or just creation? I love art, and when say that, I don’t only mean I love creating it. I also love to come into contact with fellow artists and their work. I saw the “toymaker” a year or so after meeting Ronnie Matthey, the painter. The work of this overly enthusiastic, easy going artist caught my attention that weekend of the New artist fair, in the city of London. Her work then, reminded me of those of Edgar Degas; they were very French influenced and with many ballet objects. However, the “toymaker” is one of the many new symbolistic and intriguing works Ronnie has been working on since the day I last saw her. There are many interesting pieces in her collection but the “toymaker,” in particular, appeals to me greatly because at first glance, it depicts its title perfectly: a toymaker making his toys. Yet, looking closely, the irony of a wooden toymaker making real-like toys makes the viewer ponder about creation. Who is creating who and what, and is the painting at all, about the characters we see, or do we look beyond them? Could the painter be questioning, instead, inequality issues between the sexes. After all, the toy is female and the creator, male. Or could this painting may be representing a contemporary interpretation of our own origins, the creation of Eve? I tend to believe the toymaker questions creation more than who is creating who or why. After all, who can say for certain, we aren’t all wooden guided puppets? I probably had the same look on my face, the one grandma always had when she came face to face with a PC, more confused than ever. I went blank when I heard her asked, “it doesn’t work on my phone, do you have a mobile website?” Say, what?! My best advice, build your website with HTML5. It works on iPad, android, iPhones, and PCs. Have a lovely day, and thanks for reading!